Welcome to a site of the Restorant and Hotel Complex "Priboy". Creating our hotel in Azov, we thought, first of all, about the convenience of our guests, so we tried with great attention to think over every detail. Despite the fact that our hotel is still young, it has already proved itself from the very best sides. This success was served by the quality of service, the good nature of employees, and, of course, the location of our hotel. The Priboy Hotel is located in the quietest part of the city of Azov, close to the city beach, historical monuments and museums. 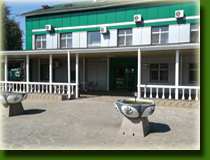 To each guest of the city of Azov, the hotel Priboy I am glad to offer the number in accordance with the incomes and for every taste. 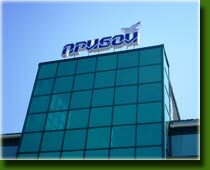 Azov Hotel Priboy has three types of cozy rooms: Standard, Lux and President . All rooms have TV. Shower cabins and a toilet are available in every room. 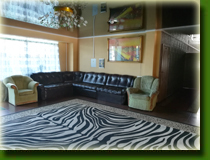 The hotel offers its guests comfortable accommodation in rooms and a wide range of hotel services. "Priboy" is popular among the organizers of conferences. Here you can meet famous athletes, artists, politicians and specialists who came on a business trip. In the hotel there are newlyweds, businessmen and, of course, a large number of tourists. 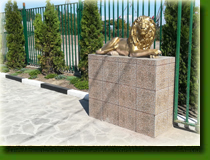 The hotel is located 10 minutes walk from the city center, as well as attractions such as the Fortress Wall, the Powder Cellar, the Azov Museum with unique archaeological finds, etc. 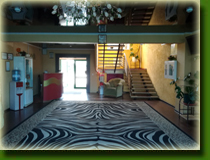 Staying at the hotel "Priboy" in Azov, you can count on individual service - the administrators will be happy to help you during your stay in our city. They always tell you how to get to different places in Azov, if necessary, call a taxi and reserve a table in the restaurant, will help in organizing excursions around the city. Information about the location of the hotel and contact information can be found in the section Address. Come to Azov and see for yourself! Welcome to Restaurant and Hotel Complex "PRIBOY"!